I believe this verse will help motivate me to succeed this week. If you do not delight in the law of the Lord, then ask the Lord to give you the motivation. I always find that the more I study the Word of God, the hungrier I become for His Word. The Bible says that God’s precepts are sweeter than honey so ask the Lord to help you crave His Word more than sweets. I want you to add a new card to your journal. The disciples asked the Lord to teach them to pray and He gave them the Lord’s Prayer. It is a series of index sentences, which were intended to give them topics to pray. Many people merely recite the Lord’s prayer, but this was not it’s full intention. I did a series on Praying the Lord’s Prayer a few months ago. If you would like to learn more about this, then click here: How to Pray the Lord’s Prayer – Part 1. This is a 5 part series, but I will summarize it here. If you wish to learn more about each line, then take a look at this series. 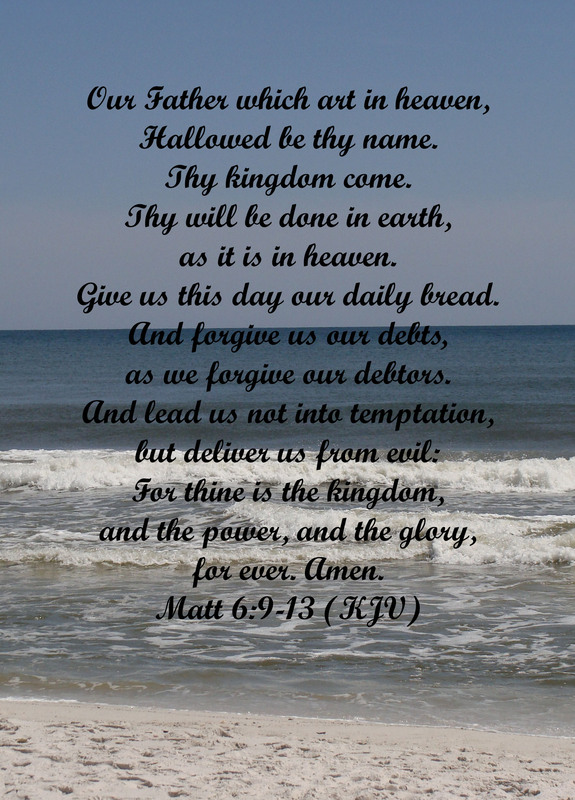 The Lord’s Prayer is found in Matthew 6:9-13. Each verse is used to help assist you in prayer. Verse 6 begins with the word “Our”. Not only should we have a daily quiet time with the Lord in private, but we should also pray with other people. There is power in united prayer. “Again I say to you, that if two of you agree on earth about anything that they may ask, it shall be done for them by My Father who is in heaven. For where two or three have gathered together in My name, I am there in their midst” Matthew 18:19-20 (NASB). Do you want Jesus at your prayer meeting? Then ask someone to join you. When we begin our prayer time according to this prayer, we should begin with praising the name of the Lord. Sometimes I do this with a song or sometimes I pray His names back to him. 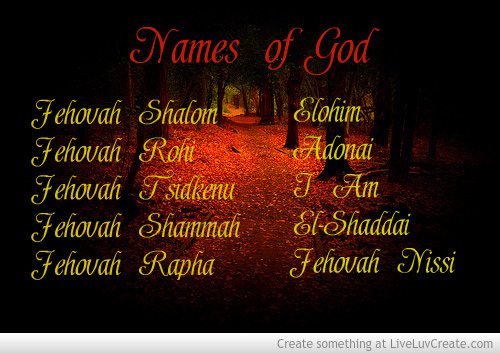 For a list of the names of the Lord from the Old Testament click here: Begin Prayer with Praising the Names of God. You may wish to add a card to your prayer journal listing his names, so they are close by when you need them. You can also keep a hymn book next to you or listen to praise music during this time. In verse 10 we are to pray that His kingdom will come and His will be done on earth as it is in heaven. Many people would just tack on the phrase, “if it’s your will” to their prayers and assume this is all they should do, but there is so much more to this. Jesus said, “Therefore Jesus answered and was saying to them, “Truly, truly, I say to you, the Son can do nothing of Himself, unless it is something He sees the Father doing; for whatever the Father does, these things the Son also does in like manner. For the Father loves the Son, and shows Him all things that He Himself is doing; and the Father will show Him greater works than these, so that you will marvel” John 5:19-20 (NASB). The Lord is doing His kingdom work on earth all the time. You are either in on His work or you are doing your own work. Ask the Lord in prayer to show you what He is doing and enter in on His work. Pray that you will live out God’s will for you. Many feel that God’s will is some big secret which has to be discovered. It’s only a big secret if you fail to ask the Lord what His will is. We must be about our Father’s business. When we pray for God’s kingdom to come, we are also asking for kingdom growth, which only happens when people are saved. We must always pray for the lost and for opportunities to share our faith. This type of praying is referred to as intercessory prayer. In verse 11, Jesus tells us to pray for our daily bread. This type of prayer is referred to as petition. Unfortunately for most of us, this is the only type of prayer we pray. There is nothing wrong with asking God to supply our needs, but there is so much more to pray than this. Please ask the Lord for whatever you need, because the Bible says we have not because we ask not. If this is the only type of prayer you pray, then ask the Lord to teach you to pray more deeply. We need to pray more kingdom prayers. In verse 12, we are told to forgive and ask for forgiveness. This is our confessional part of prayer. Whenever we come before a holy God in prayer, we should examine our hearts for sin. If we are convicted of sin, then we should confess it immediately to the Lord. If we have a problem with a person, then we should go to them and make it right according to Matthew 5:23-24. The Bible refers to this as restitution. We cannot have an effective prayer life, if our relationships with others is not right. In verse 13 we ask the Lord to deliver us from temptation. Where does temptation come from? This is spiritual warfare praying. Satan and his demons do not like it when we pray. The deeper your prayer life, the more you will notice spiritual warfare. This should not hinder us from praying because the Lord asks us to pray that He will deliver us from evil. This is a very important part of prayer that you will not want to miss. In the second part of verse 13 we see, “for thine is the kingdom and the power and the glory forever”. Again we are talking about God’s kingdom. We need to be praying for His kingdom. Intercessory prayer is so important and I am afraid it is the most lacking of all the types of prayer. We need to pray for missions, revival and spiritual awakening and those who serve the Lord on the mission field. Revival and spiritual awakening only happen when God’s people pray. Last but not least, this prayer ends with Amen. This is the part of prayer where I listen. Most of the time when we pray, we do all the talking. If you do not know how to listen to the voice of the Lord, then start asking the Lord questions as you pray. Then, sit silently and wait for Him to answer. You might be surprised when He does. I wouldn’t ask Him about His second coming, but ask Him something He will be willing to answer. He won’t necessarily answer everyday, but He will in His timing. Especially if He knows you are trying to listen.